Yesterday was one of those days you hope for. 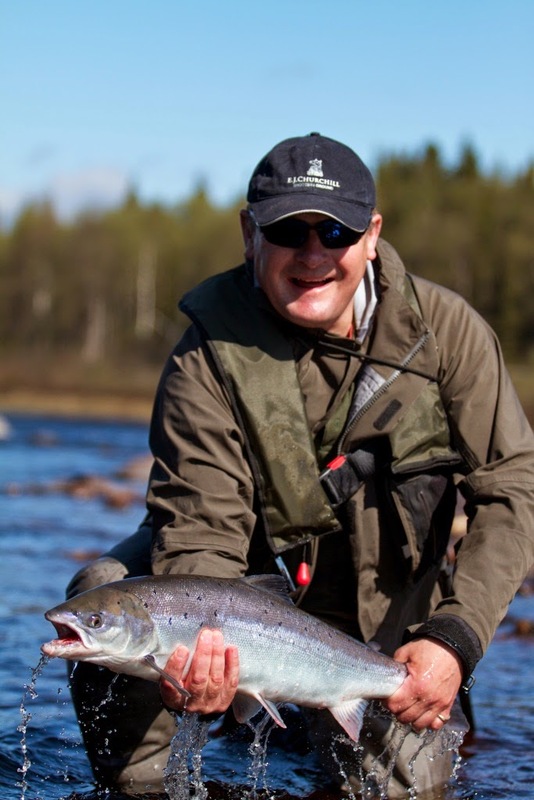 Glorious weather, camps full of enthusiastic fishermen and serious numbers of fish being landed across all of the beats. Here at Lower we finished on 77 fish for the day. Martin F had his best ever day and landed 9 although cruelly lost his 10th fish after playing it for quite a long time. Glynn D built on his 5 fish before breakfast to finish on 12 for the day and his fishing partner, the young at heart Douglas B, had 6 to his rod. 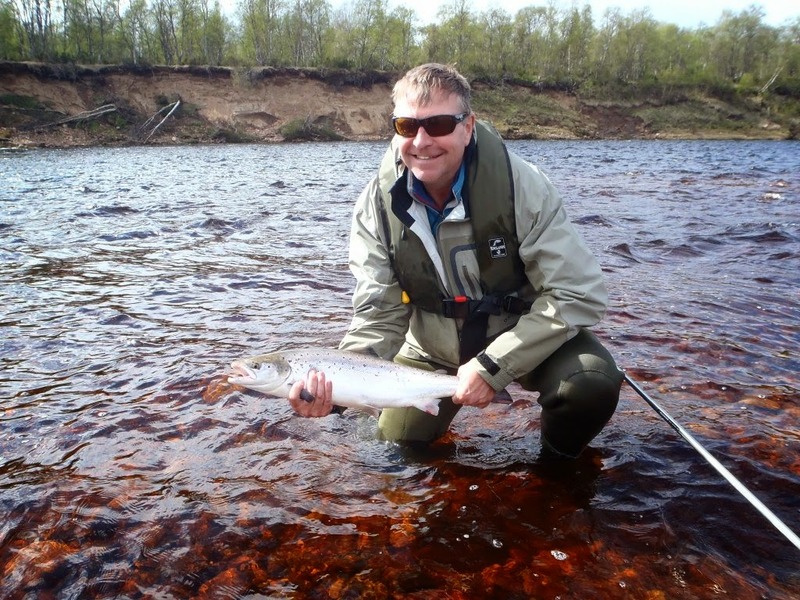 Justin Miller, visiting us from the Fly Shop in America, landed his first Atlantic salmon and went on to land 5 more. Lunch and dinner were very noisy affairs and we carried on long into the night to celebrate such a good day. Kitza has also got off to a great start and the slightly odd lull of last week appears to be over. The 8 rods had 43 to the bank with George R landing 10 of those whilst Chis McS accounted for 9. David P was the first to really experiment and was rewarded with a fish to a skated fly from Sasha’s. Almost inevitably, changeover day bought a total turn around in Pana’s fortunes and the 8 rods there had 49 salmon between them. As the water warms up, it is now 11c, the fish will get there in bigger numbers and with the amount we have been landing down river, it won’t be too long before we would expect them to have some even better days. They landed a lot of fish from Ponzoi but also had 8 fish from the Camp pool. Middle continues to be quite extraordinary. It is slightly hard to keep up with the numbers but Terry is doing a great job in catching people as they come off the river before they invariably head out again. Since they arrived on Saturday evening, the 12 rods have landed more than 200 fish. John M had 28 to his rod yesterday, Lawrence L had 24 whilst fishing partners Ian H and Hugh M landed 23 and 19 respectively. There are fish up and down the beat and they had a really good session from the top at Scotts and Pashas to show that the fish are running Yovas in numbers. 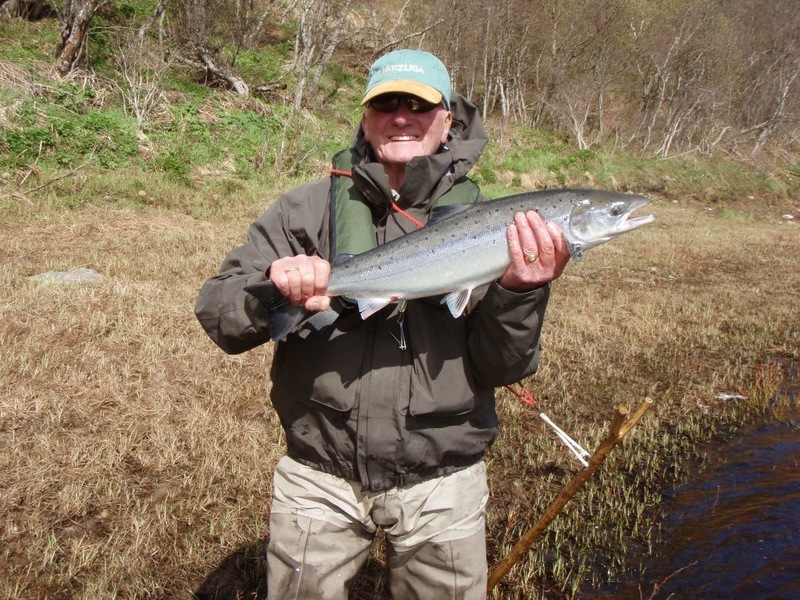 Glynn D has had another 2 fish before breakfast and it is yet another very bright day – that combination served us well yesterday so hopefully today will bring more of the same.